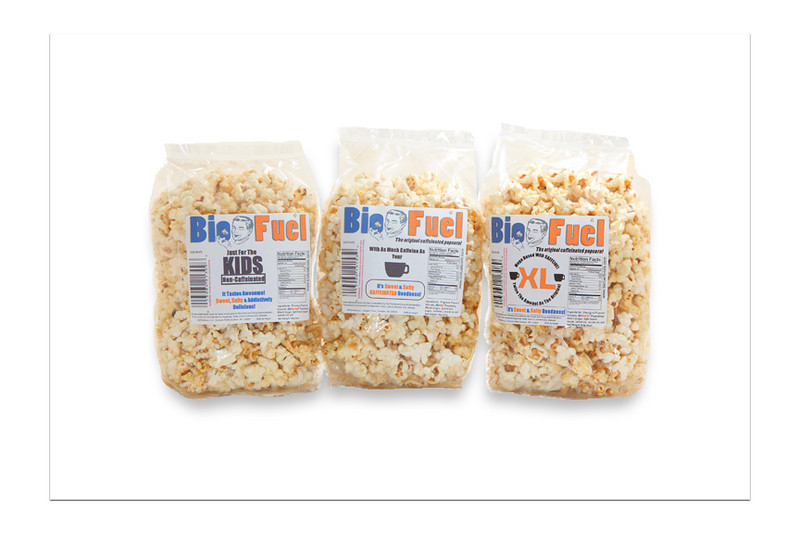 Original BioFUEL - This is a flavorful popcorn that's a little bit sweet, a little bit salty and loaded with energy! The secret is in it's Caffeine Infused Proprietary Formula strategically designed to help keep you energized throughout the day! Available in a craving satisfying 5oz bag!